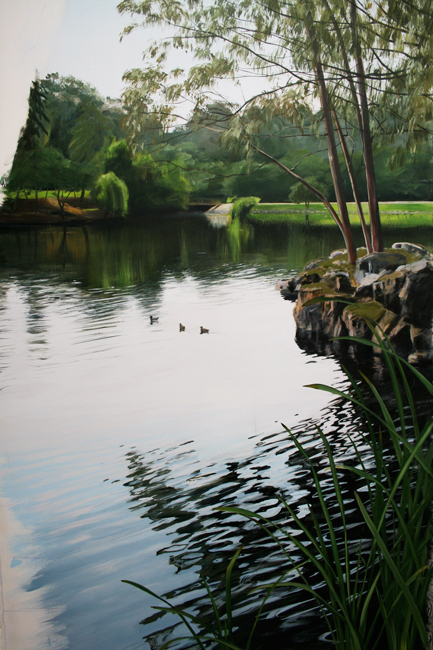 Alumni Exhibits creates quality painted murals for exhibit installations throughout the world. 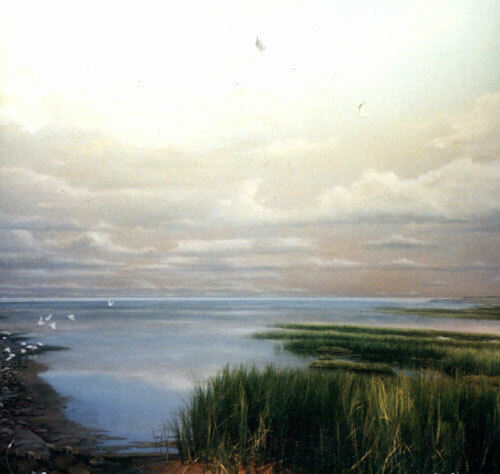 Using fade resistant acrylic paints, a mural from Alumni Exhibits will be enjoyed for generations to come. 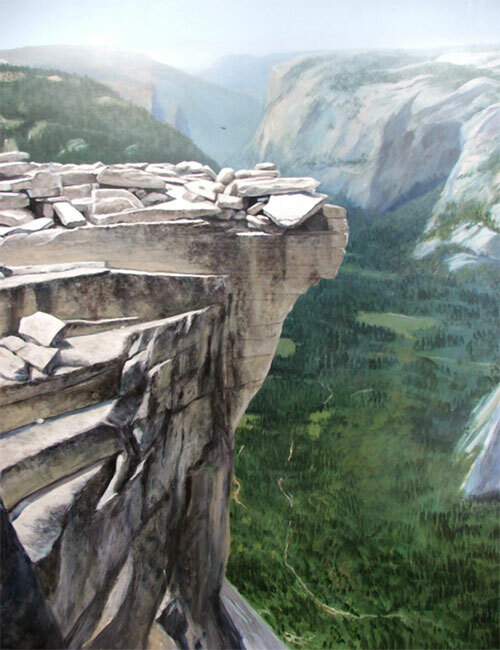 Half Dome is located at the eastern end of Yosemite Valley, possibly Yosemite's most familiar sight. 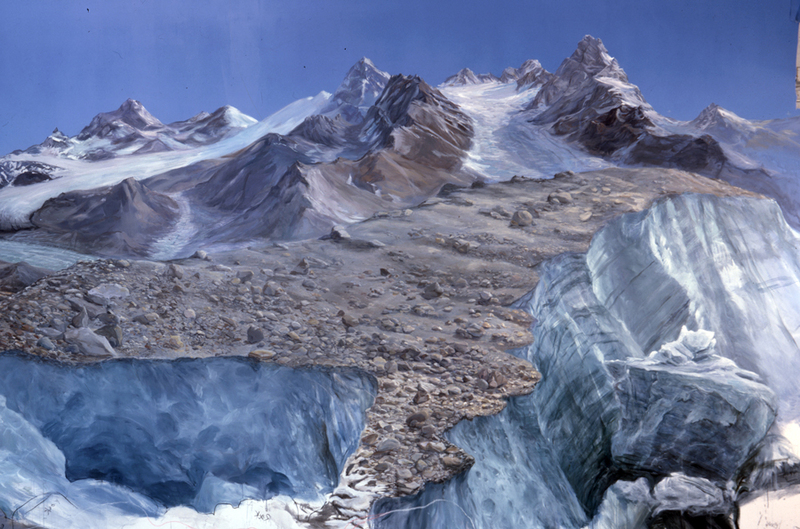 A large painting of Half Dome was used to accompany the exhibit and convey the immense scale. In Yosemite Valley, Native American peoples lived in the area before the first white explorations into the region. 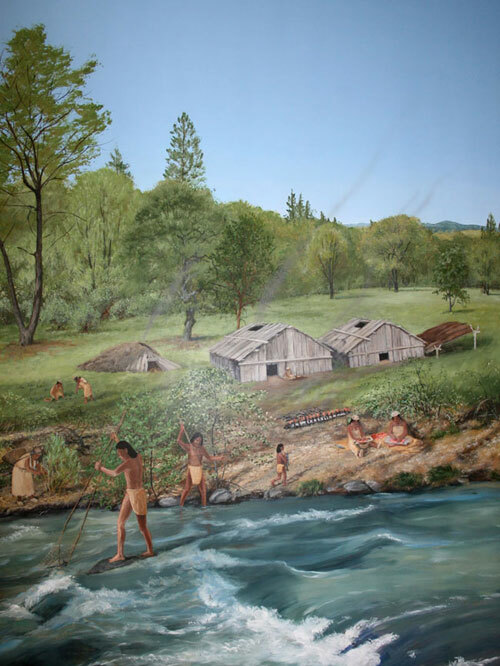 For the Visitor Center, Alumni Exhibits created interpretive murals showing views of village life based on input from specialists. Full view of 7 x 21 foot alpine mural. See more of our work at Sequoia Kings Canyon National Park, Grant Grove Visitor Center, California. 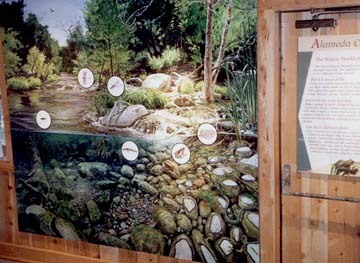 A forest mural was created for installation in the Grant Grove Visitor Center. 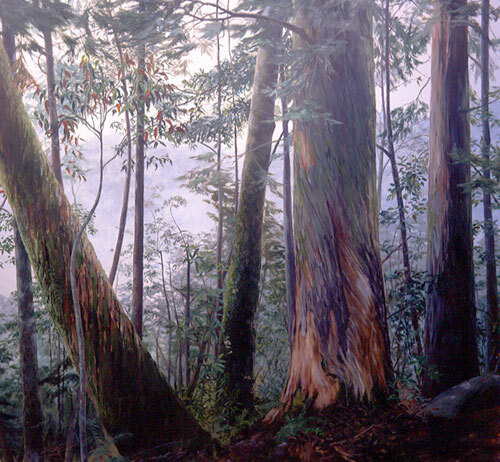 Many unique species are included in the mural, such as the immense Sequoia Gigantea. Azaleas, dogwoods and ferns specific to the biotic zone are shown, along Mule deer and other species. Alumni Exhibits created the serpentine flower mural and the seasonal-spring waterfall mural at this location. 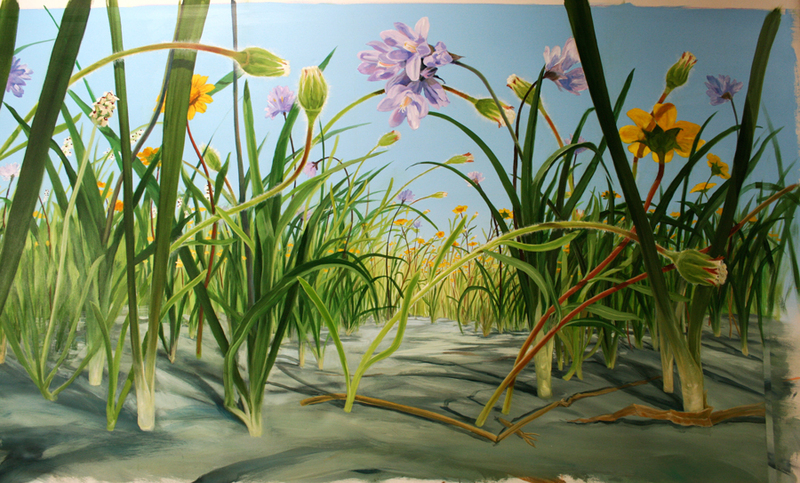 Sometimes Alumni Exhibits creates murals to show things that are not evident to the casual observer, such as this 8’ X 18’ mural of 20X-lifesize flowers that grow only in serpentine soils in California. See more of our work at the The Bill and Jean Lane Education Center at Edgewood County Park and Natural Preserve , Edgewood and Old Stage Roads, Redwood City, California. 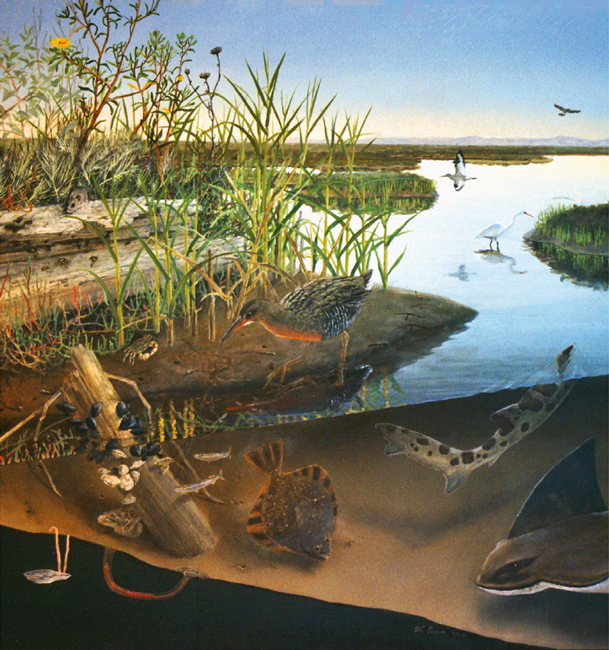 12′x17′ This mural depicts the unique aquatic ecosystem of the eastern shore of the San Francisco Bay. 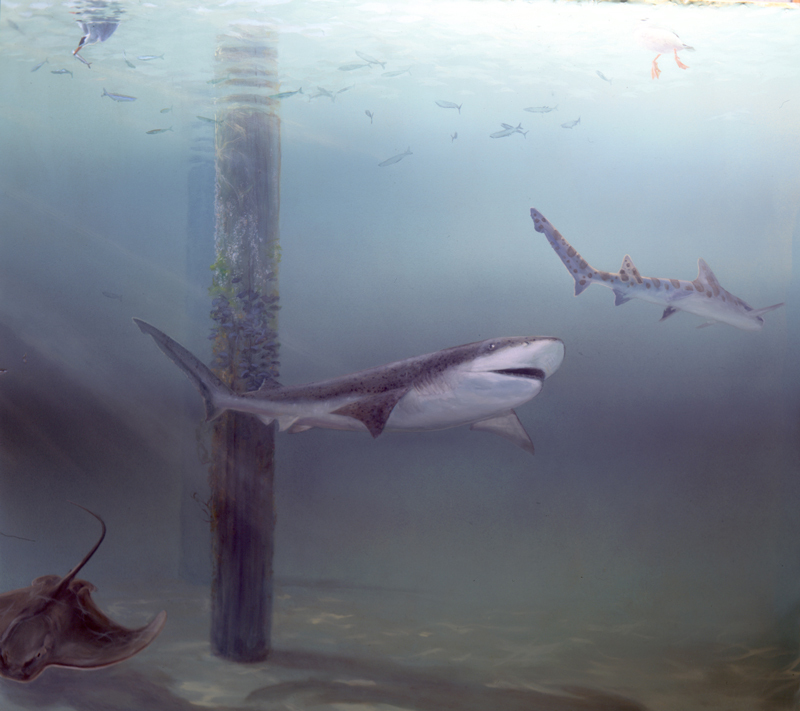 It features a seven gilled shark pursuing a leopard shark. This mural is 12' X 24' and was completed while working at Academy Studios. 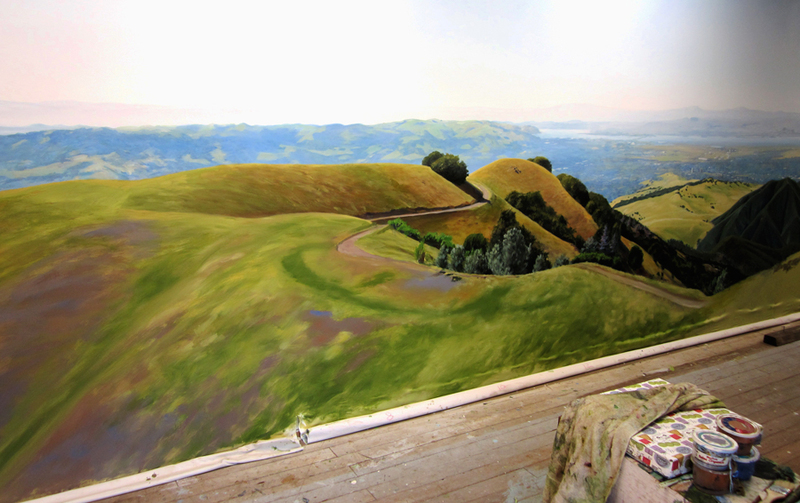 In this case, Alumni Exhibits provided the mural background for an interactive exhibit where visitors can see from a hawk’s point-of-view while flying over Mount Diablo. This mural was a collaborative effort with James Freed Design. 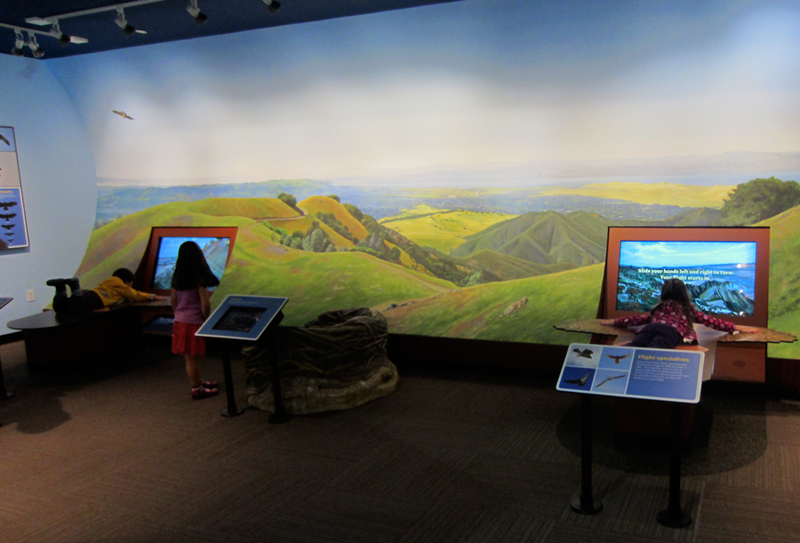 In this case, Alumni Exhibits provided the mural background for an interactive exhibit where visitors can see from a hawk’s point-of-view while flying over Mount Diablo. This mural was a collaborative effort with James Freed Design. James Freed Design also competed the non-mural aspects of this installation. 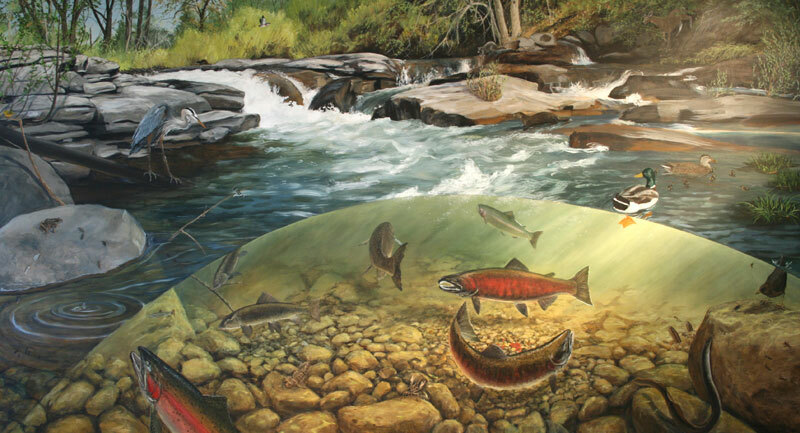 This mural shows a multitude of aquatic habitats created by the stream that flows through the Sunol Wilderness Area in the East Bay near Fremont. It is painted on a metal panel and the park provides magnetic decals of the native fauna for visitors to place on the mural. To see more work at this location: Taiwan Museum of Natural Sciences in Taichung. This is a detail of a mural painted by Ali Pearson. 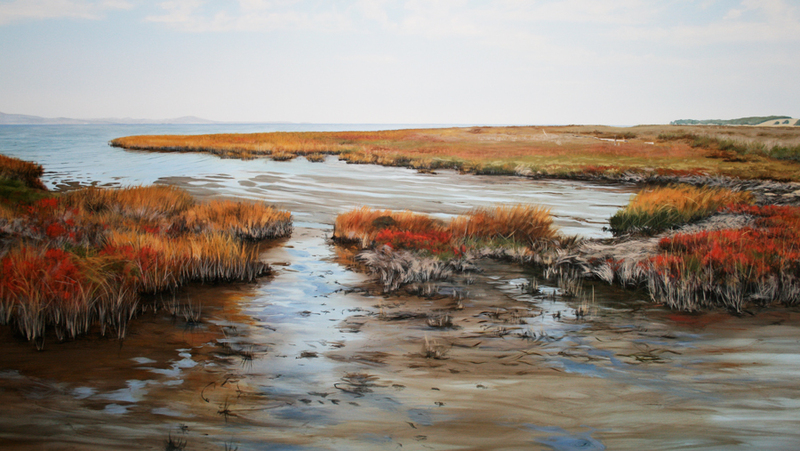 The scene depicts a Taiwanese estuary without signs of industrialization. A flock of egrets is taking flight. See more of our work at the Tilden Park Environmental Education Center, Berkeley, California. 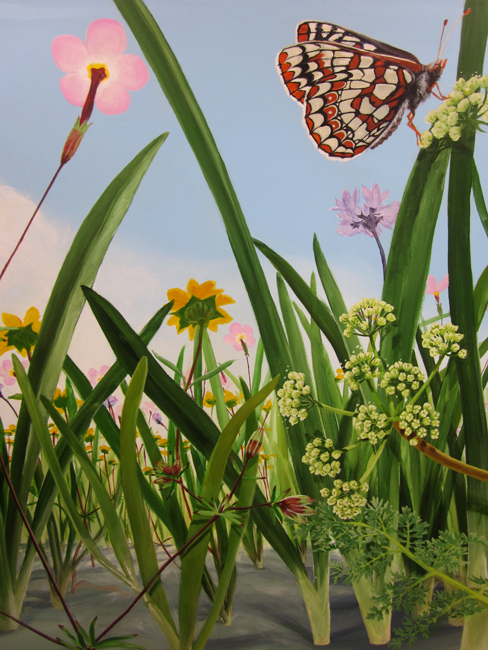 Alumni Exhibits created various murals and inter-active exhibits depicting natural history elements of the park. Location: Discovery Park, Seattle, WA. 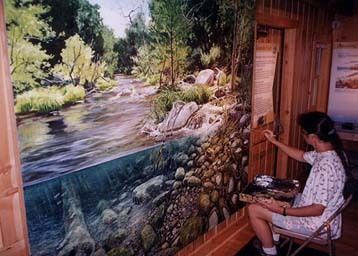 A mural depicting the unique aquatic ecosystem of Little Butte Creek, a tributary of the Rogue River near Eagle Point, Oregon was painted by Alumni Exhibits. The spawning habitat of the Coho salmon in small streams with stable gravel substrate is shown, along with many of the supporting species unique to the area. Mt. St. Helens just before the eruption. 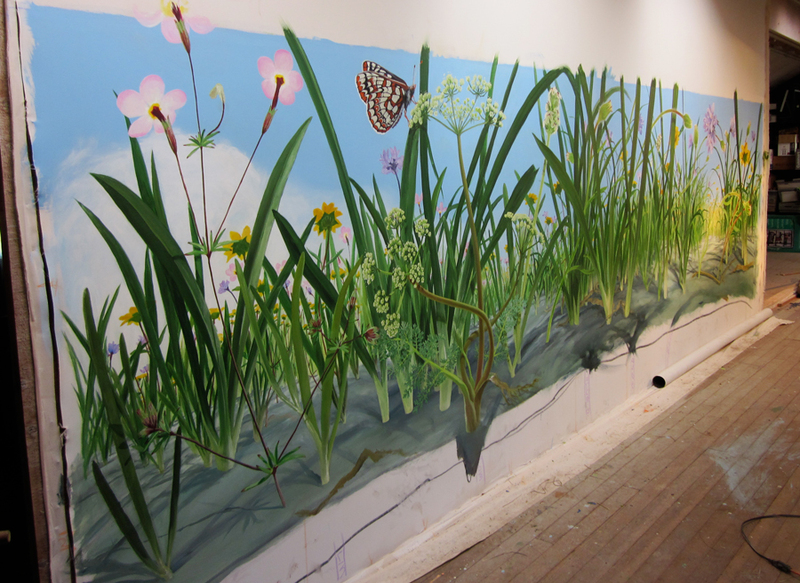 A 14′x40′ mural done by Ali Pearson and the mural team at Academy Studios for the Weyerhauser Forest Learning Center. This shows Mt. St. Helens just before the eruption. Mt. Helens during the eruption. 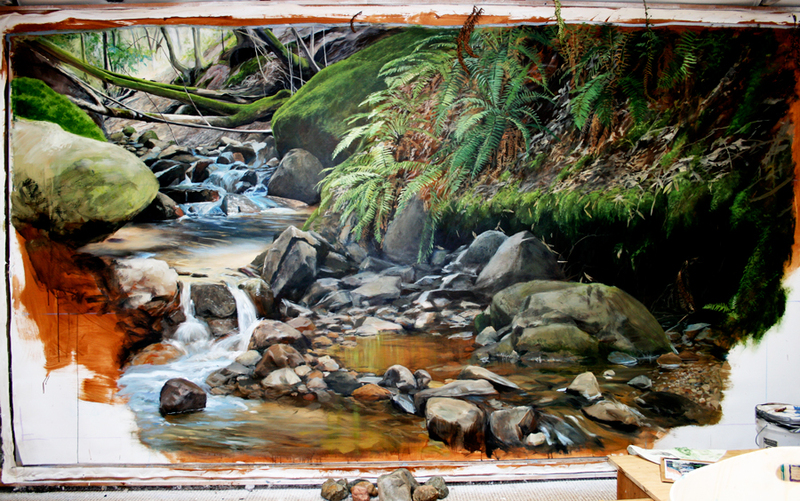 A 14′x40′ mural done by Ali Pearson and the mural team at Academy Studios for the Weyerhauser Forest Learning Center. This on shows Mt. 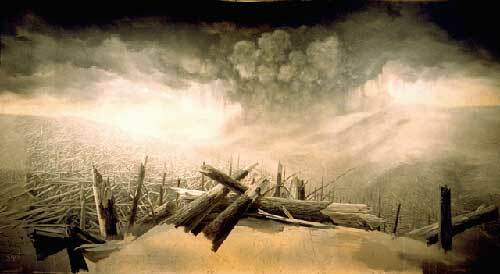 St. Helens during the eruption. The Baylands has a large resident population of birds as well as being a major migratory stopover on the Pacific Flyway. 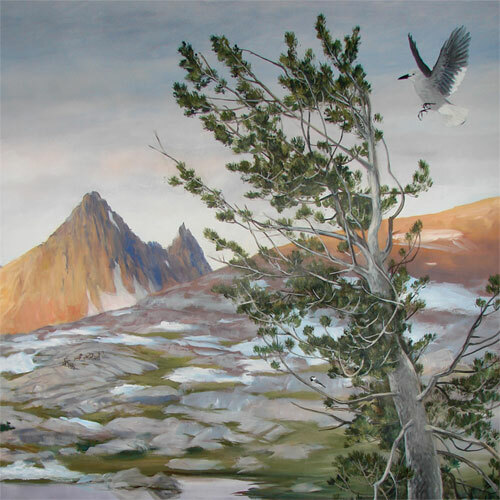 Alumni Exhibits painted a 4 x 6 foot mural showing some of the 150 species of birds that can be seen here, including the endangered clapper rail. 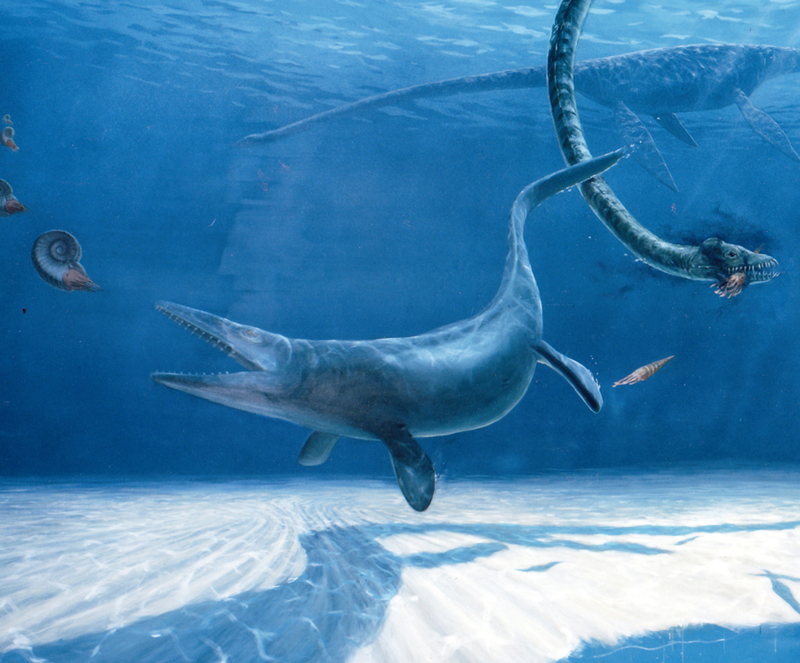 A cutaway technique is used to show aquatic creatures as well. 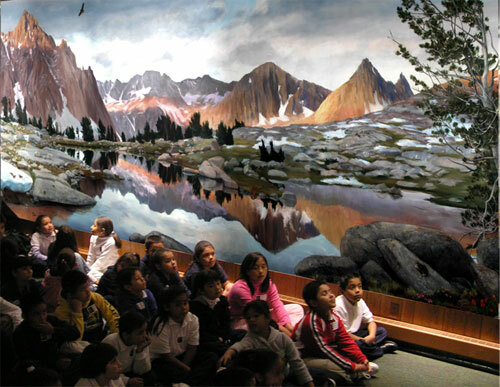 This mural was completed for the Burke Museum of Natural History and Culture, University of Washington, Seattle and was completed while working at Academy Studios. 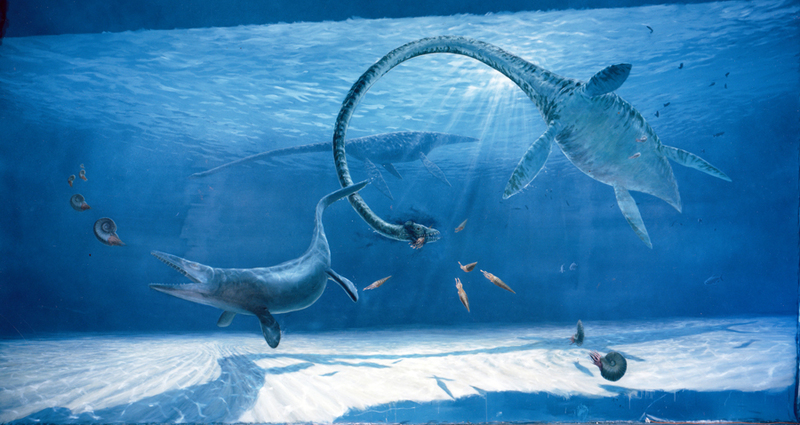 This mural was completed for the Burke Museum of Natural History and Culture, University of Washington, Seattle and was completed while working at Academy Studios. It is ~18' X 22'. 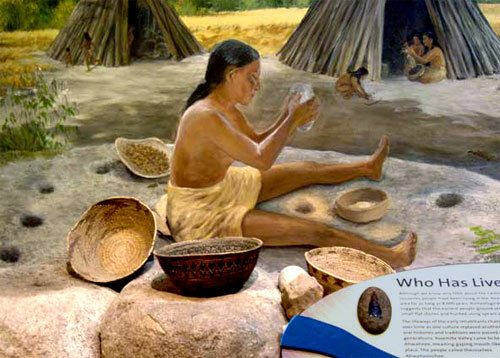 This mural was completed for the Burke Museum of Natural History and Culture, University of Washington, Seattle and was completed while working at Academy Studios. Assisted by mural team including Sally Dannels and Brooke Fancher. This mural is 20' X 30'. Burke Museum of Natural History and Culture University of Washington, Seattle. This mural is 20' X 30' and was completed while working at Academy Studios. Assisted by mural team including Sally Dannels and Brooke Fancher. 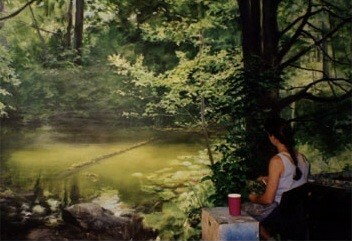 This mural was completed while working at Academy Studios. 12' X 24' This mural is 12' X 24' and was completed while working at Academy Studios.